Hubert Schwyzer was a kind and gentle human being, loved by all who knew him. A remarkably selfless philosopher, his work was motivated solely by the desire to win his way to philosophical insight and understanding. 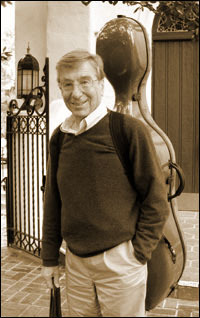 In spring 2007, Westmont College in Montecito, California, commissioned the construction of the Hubert Schwyzer quartet, with the intention of keeping these instruments in residence in perpetuity in the music department for use in faculty and student concerts. 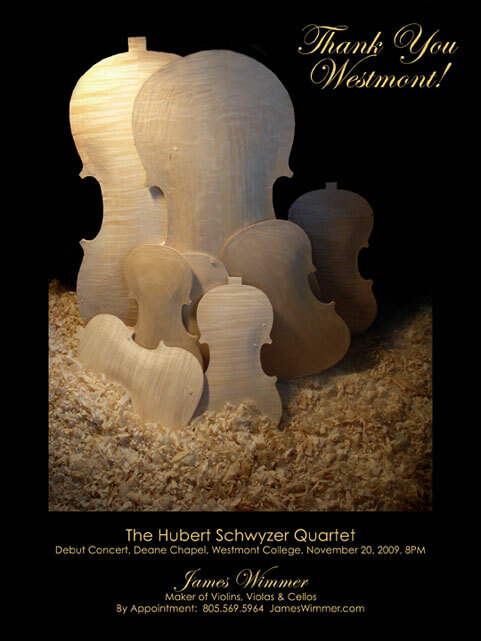 The debut concert with the Hubert Schwyzer Quartet will be held at Deane Chapel at Westmont College on Nov. 20, 2009 at 8:00PM. The quartet consists of a cello, viola, and two violins, all patterned after the same maker, in this case Antonius Stradivarius. In order to achieve visual and tonal unity, the wood itself and the varnish was matched throughout. 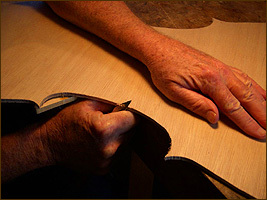 Bosnian maple, cut from adjacent sections of the same handsomely figured stem was used to shape the back, ribs and neck of the instruments. Select rare curly figured German spruce (Haselfichte), similarly matched, forms the bellies of the set. Hubert Rudolf Georg Schwyzer, Professor Emeritus of Philosophy at the University of California, Santa Barbara, died on June 22, 2006. He taught philosophy at UC Santa Barbara for 37 years from 1965 until his retirement in 2002. After his retirement, Hubert had more time to pursue his passion of playing his cello in chamber music ensembles, including the Bows Art Trio, a group he helped found. Music and his friendships with his fellow musicians were great joys to him. It is a great honor to have the opportunity to provide my finest work to this prestigious institution. For the enjoyment of my benefactors at Westmont and any others who might be interested, photos of the project in progress have been posted here.